The CAQ plans to raise the age limit to 21, ban smoking cannabis in public and require government-run stores to be at least 250 metres from any school, including CEGEPs and universities. That would be the highest legal age in Canada. The other provinces and territories opted for either 18 or 19. Smoking cannabis will also be banned in public — including on the streets, in parks and on sports fields. The Crown corporation set up to sell legal cannabis won't be able to open stores near any school, from elementary to university, and pot won't be allowed inside any post-secondary establishments nor on their grounds. 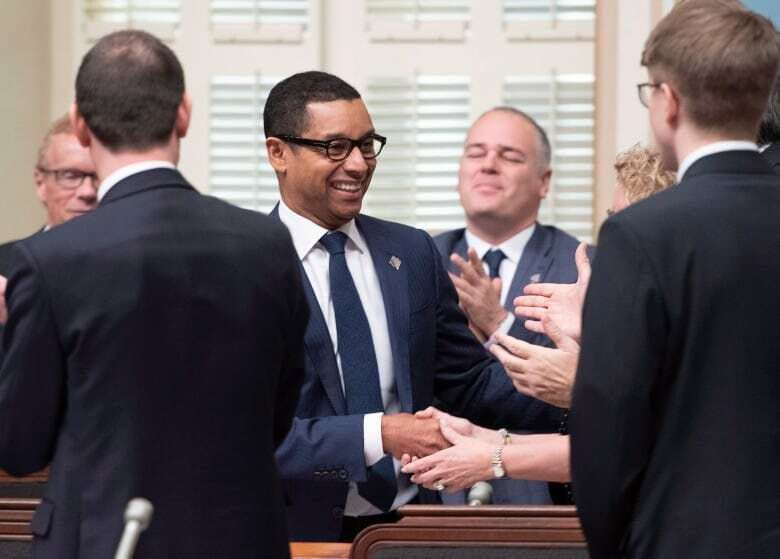 The CAQ introduced a bill Wednesday morning to tighten the rules around legal cannabis use. "I want to send a clear message to all young people. Please, don't use pot. It's not good, it's dangerous," said Premier François Legault. The amendments require a vote in the National Assembly, which will happen sometime after the holidays. The CAQ holds a majority. Prime Minister Justin Trudeau raised questions about the plan Wednesday morning, even before the bill was tabled. "It brings up questions, that this week an 18-year-old could go buy cannabis legally, but in a few months may have to go to the Hells Angels to buy it. Those are questions the government will have to answer to," he said in Ottawa. Quebec junior health minister Lionel Carmant called the argument they are pushing kids to the black market "fatalistic." He said studies suggest teens as young as 15 smoke cannabis, but no one would make that the legal age. "We won't compromise the health of our youth because of the illicit market," he said, adding that increased prevention efforts will help curb the number of young users. Will raising the legal age work? The CAQ said it is concerned about the drug's long-term impact on young peoples' mental health, and cited findings in the medical community for those concerns. Groups representing Quebec psychiatrists, medical specialists and emergency physicians have all said they support raising the age. Liberal health critic André Fortin acknowledged there are public health risks associated with smoking cannabis. "However, we can't stick our heads in the sand either," he said. His party, which drew up the original version of the law, wanted young people to have access to products with a lower THC content and people who can educate them at the government-run stores. "It's unfortunate that we're the only province that chooses not to adopt a public health standpoint on this issue." Serge Brochu, the scientific director at the Institut universitaire sur les dépendances, said increasing the legal age will push young people to the black market — which is what legalization was meant to curtail. "I think prevention is the key.… And it has to be real prevention with real information, not prevention that says 'just don't do it' or 'cannabis is bad,'" Brochu told CBC Montreal's Daybreak recently. David Di Staulo, 18, said the mental health argument is a valid one, but still believes an adult should be able to choose whether they want to smoke up. "If they want, they're still going to be able to get it. So [raising the age to] 21 is not going to change an 18-year-old's decision to smoke marijuana." 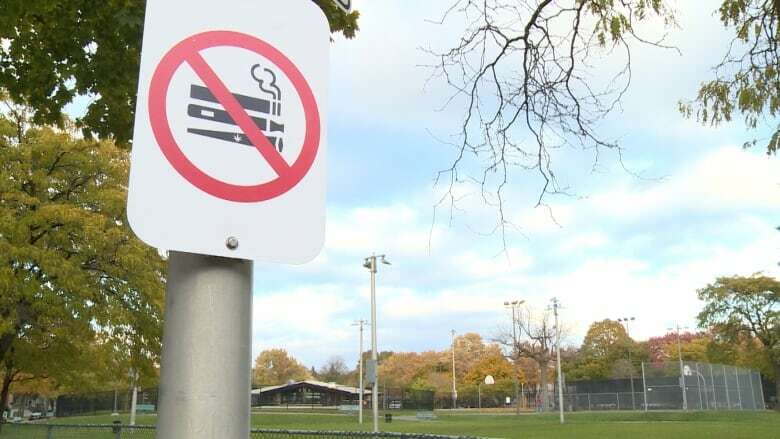 The original law bans smoking in the same locations where it's prohibited to smoke tobacco, as well as on the grounds of universities and CEGEPs, hospitals, elementary schools and daycares. However, municipalities had the power to pass stricter rules, and several towns and cities did — Hampstead, Montreal's Pierrefonds-Roxboro borough and Quebec City, among them. Montreal chose to follow the provincial law, a position it took after conducting extensive research, Mayor Valérie Plante said. Plante told reporters Wednesday she is "extremely disappointed" with the changes announced Wednesday, which go against the harm-reduction approach the city was trying to adopt. Banning smoking cannabis in public, coupled with the fact that landlords across the province have taken steps to ban smoking pot in rental properties, means a large swath of the population won't have anywhere to smoke legally. "The message that people are getting is cannabis is legal, [but] you can't smoke at home, and you can't smoke in public," Plante said. Carmant pointed out only smoking is not allowed — renters can still use oils or consume edibles at home. Experts have argued prohibiting smoking in public would exacerbate existing tendencies to over-police the homeless, racialized communities and youth. 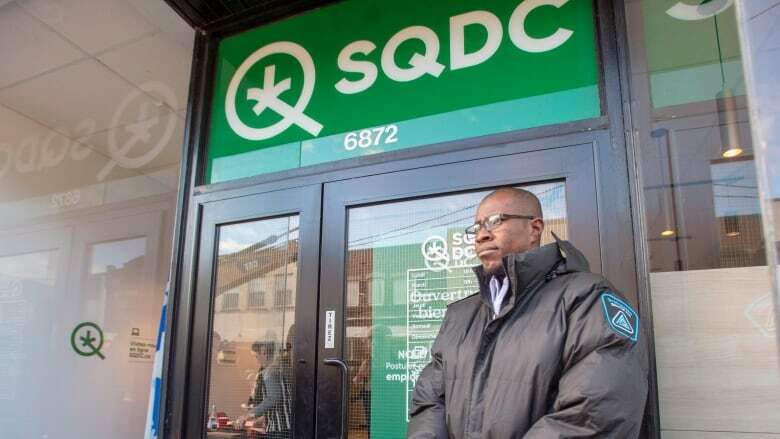 There are currently 12 Société québecoise de cannabis (SQDC) stores, and there were plans to open between 150 and 160 more over the next two to three years. Under the original law, stores couldn't open within 250 metres of elementary and high schools (150 metres in Montreal). But now, CEGEPs and universities are included in that radius. Carmant said a store in Quebec City's Sainte-Foy neighbourhood, which is currently less than 250 metres from the CEGEP de Sainte-Foy, will close when the lease is up. There were other stores that would have broken the new law, such as one on Ste-Catherine Street East in Montreal, but they were all in the planning stages and those plans were stopped "in time," Carmant said. A spokesperson for the SQDC said they won't alter their day-to-day operations for the moment, but will be following the legislative process closely. In Quebec, two sets of cannabis rules exist: one conservative, one liberal. Which will prevail?